Is Your Business Set Up for Seasonal Marketing? Somehow, summer slipped right through our fingers. Autumn will quickly have the winter holidays knocking at your door. As a small business, this is your time to shine, but if you don’t have your seasonal marketing strategies up to today’s standards, your customers could easily pass you by in favor of the big guys. But, fear not! 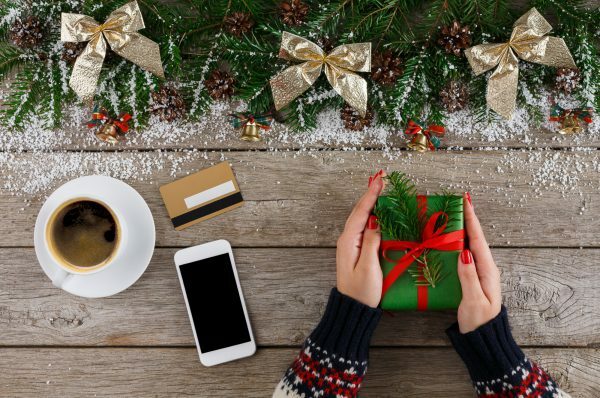 Our WriterAccess team is here to help you attract shoppers as this buying season gets underway! You need great content all year long, but small businesses should pay particular attention to posting great content around the buying season. This is the perfect time to tout your talents, talk about the promotions your offering, and advertise the latest and greatest products. To appropriately capitalize on your internet real estate, you’ll need plenty of blogs and social media blasts for the next few weeks. This is a great time to touch base with your favorite content writers to ensure they’ll be available to meet your needs. Remember, some writers may be taking off in the coming weeks, so you’ll want to be sure you’ve got a team of awesome wordsters lined up. Take heed of our favorite hacks if you need to enhance your access to outstanding writers. When were your sales at their highest? You’ll want to be sure you have staff standing by around the same time this year to ensure your customers get the attention they deserve. Which products got the most sales attention? Stock your shelves with this year’s version of similar items to be sure your supply meets consumers’ demands. Once you’ve got a big-picture overview of the past few years’ sales, you can start to build out your content calendar. A content calendar gives you optimal control of the posts you’ll send into the wild (otherwise known as inbound marketing). Armed with solid data, you can plan promos, one-day sales, or hashtag competitions on Instagram or Twitter within a timeframe that makes sense to your shoppers. If your small business endeavors in the retail sector, make sure you check out local holiday markets. Setting up a vendor stall in a place where people are already planning to spend money can really benefit your business. It may also behoove you to seek ways to sponsor other organizations during the holiday season. For example, non-profits often need donations for annual fundraisers toward the end of the year. Your goodwill will afford you the opportunity to advertise your brand while enjoying tax write-offs for charitable contributions. In this season of giving, be sure to offer a gift your audience will appreciate. White papers, checklists, and how-to guides are perfect internet presents that can increase your own internet presence. Before you give your information away for free, make sure you’ve built an awesome landing page that makes people excited about learning more about the insights you have to offer—while welcoming them to give you their contact information. Steer clear of your standard messaging in favor of something with a bit of a seasonal flavor. If you need help putting some pumpkin spice latte into your letters, our WriterAccess team of writers is happy to help! Your team is working hard to fulfill orders, answer questions, and meet deadlines. Things can get pretty stressful during this time of year. It’s important to step back and laugh once in a while. Invite your staff to host a potluck in the communal kitchen, or allow them to enjoy Casual Friday on a random Tuesday. Take pictures and document the season’s greetings on your social media spots your followers can feel like they’re one with your company. This is a great time to spotlight employees or create blogs about the things your company is doing to keep its customers satisfied. Need a little help honing in on your content marketing strategy? We’ve got you covered! We invite you to peruse WriterAccess’s content marketing strategy blogs. When you’re ready to have our team help your business, simply open a free account!